Lou (Michaela Kurimsky) and Chantal (Karena Evans) are best friends who are both trapped in the small Ontario town where they grew up, and they are trying to save up enough money so that they can hitch a ride to New York. But their plans to escape are threatened to be upended following a bad encounter with Chantal’s possessive ex-boyfriend Kyle (Dylan Mask), which leads to a series of rash decisions. Lou’s precarious living situation with her somewhat volatile mother (Tamara LeClair) is also in a state of upheaval, with the arrival of her mom’s new boyfriend Johnny (David Kingston). Expanding her 2013 short film of the same name, Firecrackers is the feature debut of young writer-director Jasmin Mozaffari, a Ryerson graduate who crafts a compelling low-key character drama that at times recalls the work of Andrea Arnold. 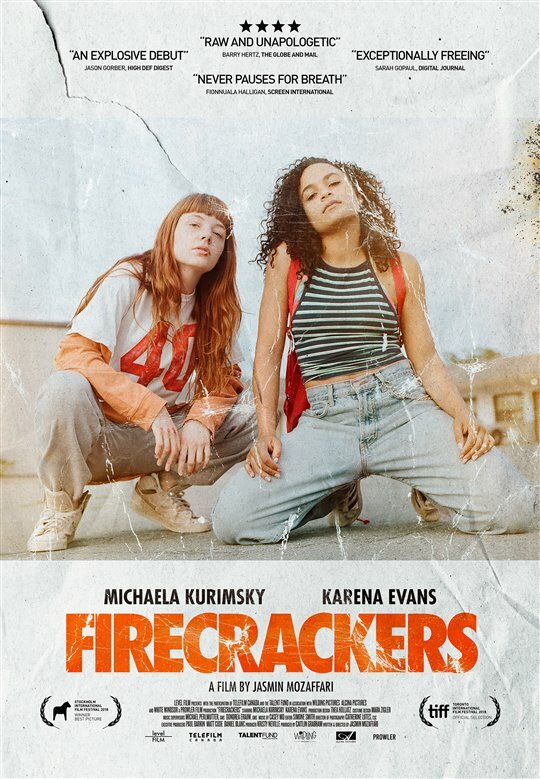 While the story of wanting to leave your small town to find a better life in the city might seem familiar, Firecrackers renders it from a uniquely feminine perspective, and in doing so touches on timely themes of sexual abuse, female independence, and trying to break free from the cycle of poverty and all of the problems that come with it. The often handheld cinematography by Catherine Lutes captures this all with gritty authenticity and intensity. Carried by impressively naturalistic work from its mostly young cast, including a breakout performance from child actor Callum Thompson who delivers a sensitive portrayal of Lou’s gender-questioning little brother, Firecrackers is an engaging and assured feature debut that serves as a promising calling card for all involved. Firecrackers is now playing in limited release at Cineplex Cinemas Yonge-Dundas in Toronto. Tim Burton’s Dumbo, the latest in Disney’s lineup of live action retellings of their earlier classics, serves as more of a reimagining of the 1941 animated film than it does a straight up remake. This is not to say that the film strays quite as far from the original as something like David Lowery’s take on Pete’s Dragon, which bore little if any resemblance to its earlier counterpart. But it is closer in tone to Jon Favreau’s updated retelling of The Jungle Book, which paid tribute to its predecessor without directly copying it, than it is to something like their live action Beauty and the Beast, which at times was essentially a shot-for-shot remake of the already beloved animated film. For starters, there are no talking animals in this version of Dumbo, and the role of Timothy Q. Mouse is reduced to a mere cameo. There are no storks delivering babies or stereotyped singing crows, and no anthropomorphic choo-choo train. The animated film also clocked in at just over an hour long, where as this version runs close to two hours. This obviously means that Burton has added a lot more plot to the film, and for the most part, his approach works in a way that allows it to feel more like a companion piece to the original rather than anything close to a replacement. So I guess the real question that everyone wants answered is if this version is worth seeing, and for me the answer to that is yes, as I tend to find Burton’s artistic voice to be an interesting one. The director’s usual stylistic visual flair is on full display here, and he also brings a personal touch to this material that wasn’t really present in something like his big budget take on Alice in Wonderland, which he also made for Disney. But I can also see why others will walk away from his Dumbo feeling disappointed, especially if they are expecting something that is closer to the animated version, as Burton certainly does put his own unique spin on the story. The bulk of this film is actually built around a new cast of human characters, who have been added to fill out the story. 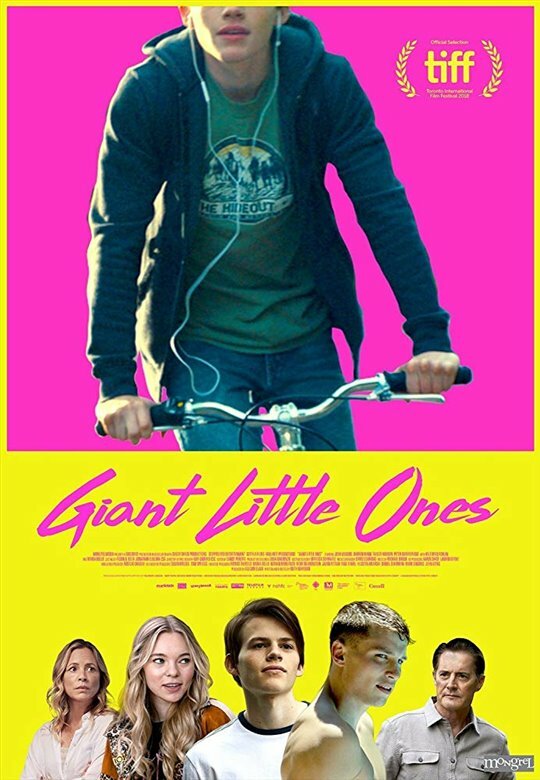 The film centres around Holt Farrier (Colin Farrell), who returns from World War I to his home at the circus, where his two kids Milly (Nico Parker) and Joe (Finley Hobbins) are waiting for him, having lost their mother to illness. Holt was a famed horse rider at the circus, but having lost his arm in the war, he is no longer able to perform. The ringleader, Max Medici (Danny DeVito), decides to cut the equestrian act to save money, and instead puts Holt in charge of the stables, where he has just brought in a pregnant mother elephant named Jumbo. 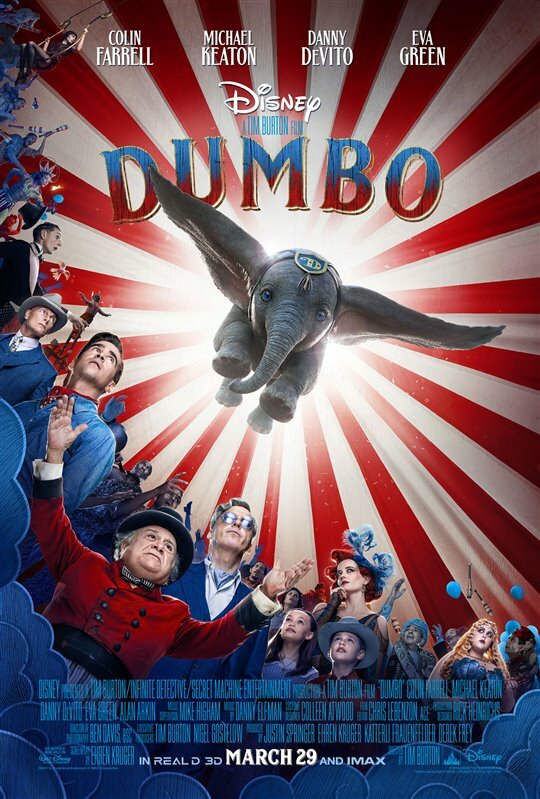 When Baby Jumbo is born, his gigantic ears make him the laughingstock of the circus, and he is given the nickname Dumbo, until Milly and Joe realize that his ears also give him the ability to fly and turn him into a main attraction. This attracts the attention of V.A. Vandevere (Michael Keaton), a corporate tycoon who makes an offer to buy out the failing circus, and wants to put his girlfriend, French trapeze artist Colette Marchant (Eva Green), at the centre of an act with the flying elephant. But when Dumbo’s mother gets taken from him and locked away after accidentally causing a stampede in the big tent, the baby elephant longs for nothing more than to be reunited with her. I’m actually glad that Burton opted not to go the route of just trying to copy every single moment from the original film, and while not every choice that he makes here works equally well, his decision to forge ahead along a new path makes Dumbo much more interesting in terms of a remake. Burton also seems deeply aware of the ethics around making a movie about elephants in the circus in this day and age, and the film becomes a surprisingly powerful statement against exploiting animals and using living creatures for entertainment. In the original, Dumbo’s ultimate goal was to be accepted within the circus, where as this one is about him seeking complete liberation from it. At the centre of the film are the impressive visual effects that are able to bring Dumbo to life in a live action world, with the animators having successfully turned him into a deeply expressive and almost photorealistic computer generated creation, while still recognizably modelling him off of the original drawings. But despite the technical wizardry of its main character, the film also has a sort of old school grandeur to it, with the visually striking production design and colourful costumes by Colleen Atwood offering a feast for the eyes. The large scale practical sets that were built for the circus are spectacular, and give the film the feel of an Old Hollywood production. The fairly simple plot does feel somewhat stretched thin at close to two hours, and the human characters are mostly rudimentary and not really that fleshed out, and at times it feels like Dumbo himself gets a bit sidelined by everything that is happening around him. But I still found much to like within Tim Burton’s Dumbo, from the impressive production design to the positive animal rights message, and there is also a gentle quality to the film that did tonally remind me of the original animated classic. 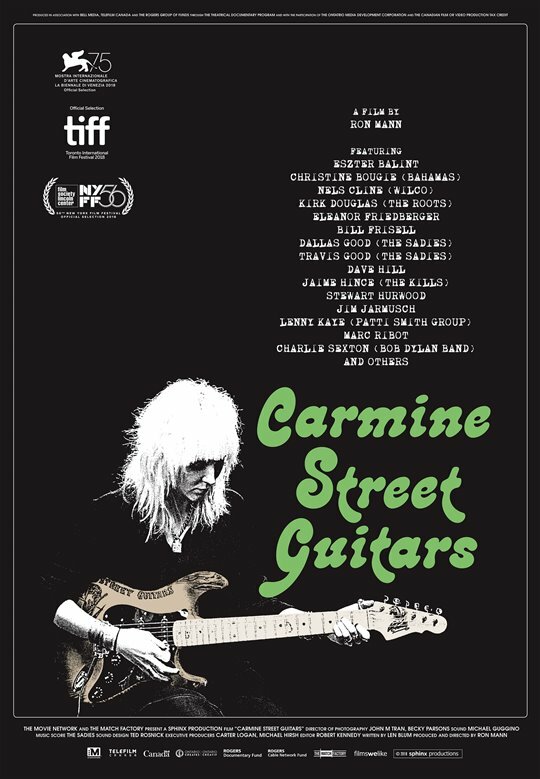 While this film forgoes being a musical, Burton’s frequent collaborator Danny Elfman is able to work in cues from some of the original film’s songs throughout his lovely score, ending with an amazing, ethereal cover of “Baby Mine” by Arcade Fire over the end credits. At its heart, this new take on Dumbo is still a bittersweet and slightly melancholic story of a misfit seeking acceptance for his differences and longing to be reunited with his mother, and these aspects of the timeless story remain fully intact. Dumbo is opening tomorrow in theatres across Canada. Leading up to the release of the new adaptation on April 5th, Paramount is releasing the original 1989 film version of Stephen King’s novel Pet Sematary on Blu-ray this week in a brand new 30th anniversary edition. The story follows Louis Creed (Dale Midkiff), a doctor who moves with his wife Rachel (Denise Crosby) and their two kids Ellie (Blaze Berdahl) and Gage (Miko Hughes) to a rural house in the small town of Ludlow, Maine. Their house backs onto a path in the woods that leads to a place called “Pet Sematary,” which their elderly neighbour Jud Crandall (Fred Gwynne) explains to them is a final resting place for beloved animals. It also happens to be situated near an ancient Native American burial ground, that has the ability to raise the dead. 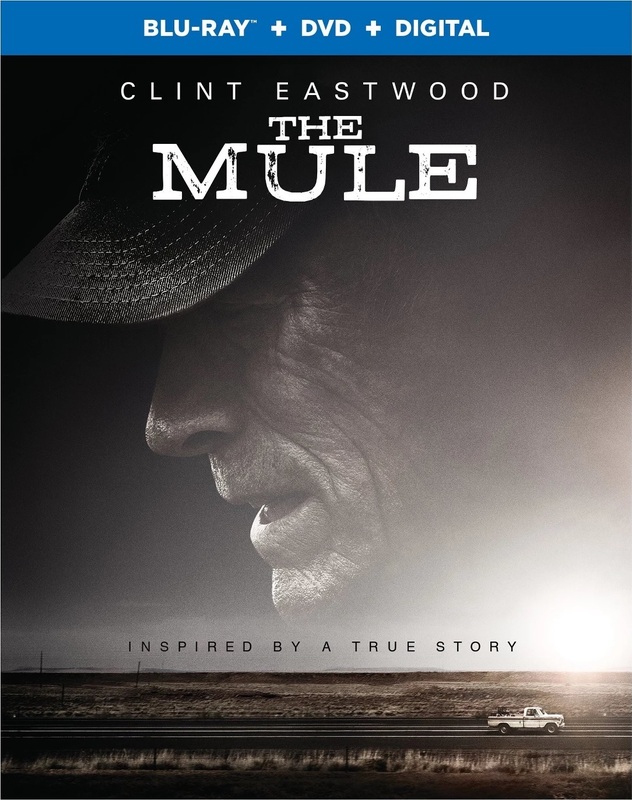 When his daughter’s beloved cat gets killed by one of the passing trucks that speed along the dirt road between their house and their neighbour’s property, Louis buries the animal on the grounds, to avoid her having to face the animal’s death. But the creatures that return from the grave don’t come back the same, which Louis soon finds out when another tragedy strikes and he makes a drastic decision, despite increasingly dire warnings from the ghost of a dead emergency room patient (Brad Greenquist). The film is notable for having a screenplay that was written by King himself, and for the most part Pet Sematary is a solid adaptation of the author’s 1983 novel, which he still considers to be one of his most terrifying literary works. 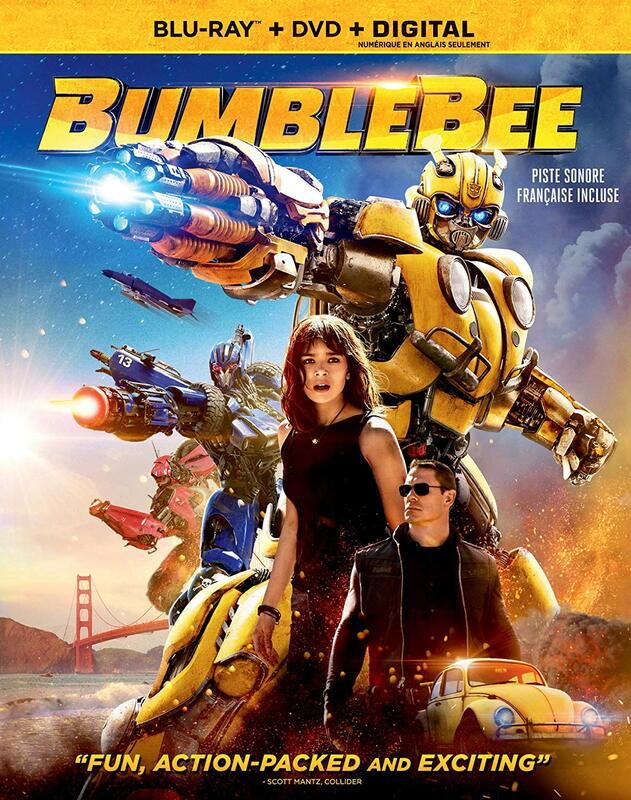 It does feel somewhat dated, including some special effects that appear cheesy by current standards, and admittedly make the film seem a bit campy at times. But there is also an underlying feeling of dread running throughout the film that is still effective all these years later. Director Mary Lambert brings a sense of foreboding to the film, and there is an eeriness and creepiness to the story in the way that it deals with themes of dying and parental grief. This is really a story about a family struggling to accept the inevitability and finality of death, and it’s these ideas that allow the story to get under our skin. As we await the new one, this version of Pet Sematary is still worth seeing as an entertaining and at times genuinely unsettling horror movie from the 1980s. The Blu-ray includes the two new featurettes Pet Sematary: Fear and Remembrance, which mainly focuses on the forthcoming remake and features interviews with members of the new film’s cast and crew; and Pet Sematary: Revisitation, which features Lambert reflecting upon her experience making the original film and the restoration process that it went through for this release. The disc also has a trio of photo galleries that allow us to scroll through some of the original storyboards, production images and marketing materials, as well as the three previously released featurettes Stephen King Territory, The Characters and Filming the Horror, which are carried over from the original Blu-ray release along with a commentary track by Lambert. 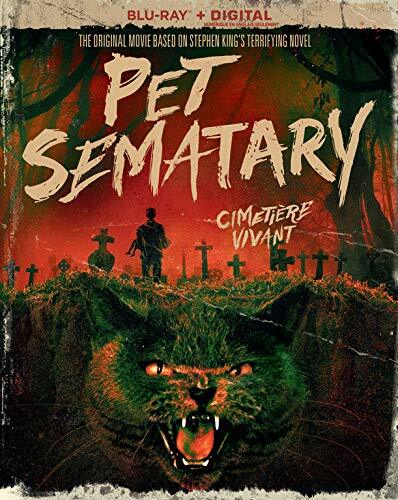 Pet Sematary is a Paramount Home Media Distribution release. It’s 102 minutes and rated 18A. Arthur Curry (Jason Momoa), who first appeared as part of the DC Extended Universe in Batman v Superman: Dawn of Justice before playing a much larger role as a member of the superhero ensemble in Justice League, gets his own origin story in director James Wan’s Aquaman. As we are shown in the film’s prologue, Arthur is the mixed-race son of a human lighthouse keeper (Temuera Morrison) and an Atlantean queen (Nicole Kidman), who fell in love when she washed ashore from the depths of the ocean, before she was forced to return to the lost kingdom of Atlantis and punished for having an illegitimate son. When his half-brother King Orm (Patrick Wilson), who now rules over Atlantis, decides to wage war against the surface world, Princess Mera (Amber Heard) enlists Arthur’s help to stop him. With the help of his old mentor Vulko (Willem Dafoe), Arthur and Mera set out to track down the ancient Trident of Atlan, which will allow him to take his rightful place on the throne, and prevent a war between his two worlds. Meanwhile, Orm hires the sea pirate Black Manta (Yahya Abdul-Mateen II), who has his own reasons for wanting to get revenge, to try and stop Arthur from getting the trident. There is an inherent campiness to Aquaman – both the original character, as well as the movie – and the film is cheesy at times. But Wan is able to embrace this in a slightly tongue-in-cheek way that I’m happy to say mostly works. The visual effects that splash across the screen are cutting edge, and the underwater scenes are impressive for the amount of computer power behind them. But at its heart, Aquaman also feels like a throwback to the old school fantasy and adventure films from the 1950s and ’60s, and it owes as much to the stories of Jules Verne as it does to other comic book movies. While Aquaman doesn’t quite reach the heights of Wonder Woman, and the nearly two and a half hour running time can feel a bit bloated due to the sheer amount of stuff that it tries to pack in, this is still an entertaining blockbuster that easily ranks among the better entries in the DCEU. The film features some solid visual effects, as well as a lot of fun action sequences that are very well staged by Wan, and it glides by on the power of Momoa’s hugely charismatic portrayal of the titular hero. It’s about a hundred minutes of bonus material overall, providing an engaging deep dive into the film’s story, characters, production design, and visual effects. 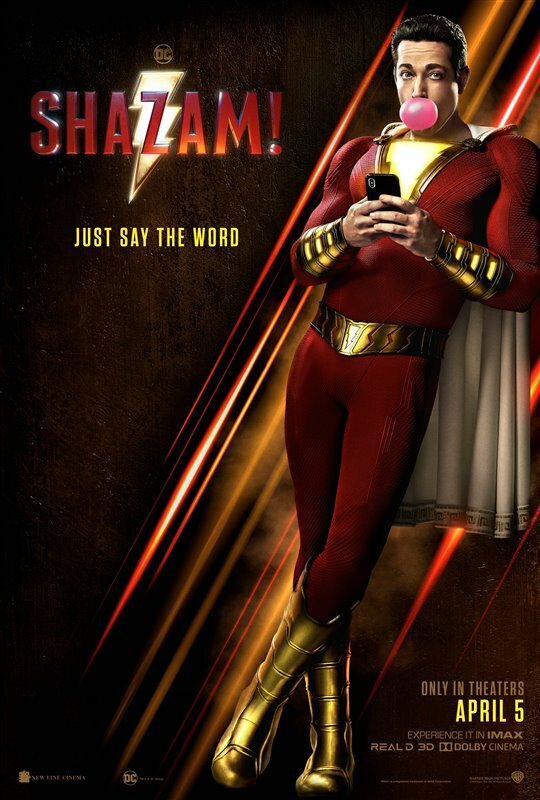 Finally, the disc also has an extended sneak peak at DC’s upcoming film Shazam!, which I coincidentally saw the other night and is an absolute blast. 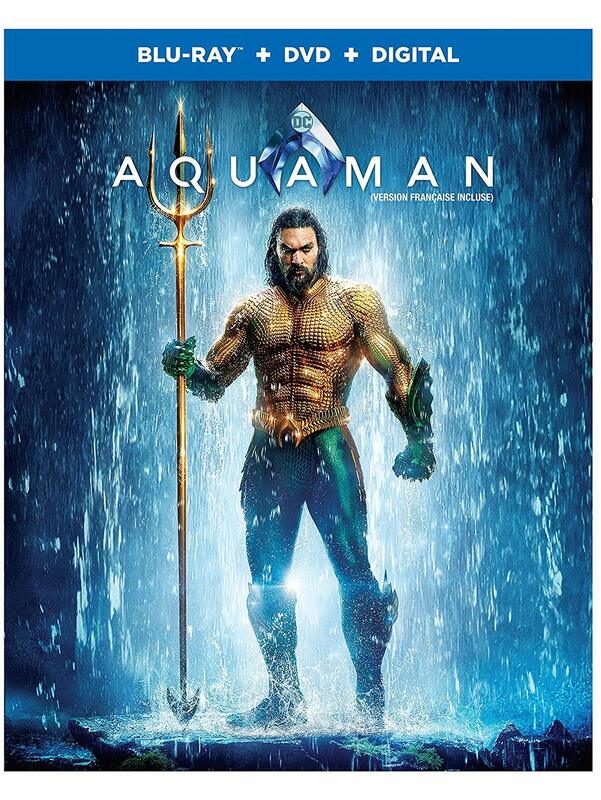 Aquaman is a Warner Bros. Home Entertainment release. It’s 143 minutes and rated PG. Maya (Jennifer Lopez) is a woman in her forties who is fed up by the fact that “street smarts” aren’t given as much value as “book smarts.” She dropped out of high school and is now stuck working at a big box grocery store, with nobody else wanting to hire her because she doesn’t have a college or university degree. But when her godson (Dalton Harrod) puts his hacking skills to good use and makes her a fake online profile and resume under her maiden name, she suddenly turns into a Harvard graduate who served in the Peace Corps, and ends up being brought in for an interview by none other than Anderson Clarke (Treat Williams), the CEO of the New York cosmetics company Franklin & Clarke. Maya quits her job working at the supermarket and accepts a high-powered position at Franklin & Clarke, where she ends up being pitted against the boss’s daughter Zoe (Vanessa Hudgens), an ambitious young woman who is climbing the ranks at the company, to see who can create the best and most profitable eco-friendly skin cream. Maya has gained valuable insight into what customers actually look for in their products through her real world experiences as both a consumer and retail worker, and she starts working with her quirky assistant Ariana (Charlyne Yi) and the nerdy, lone researcher Chase (Alan Aisenberg) to develop an organic moisturizing cream, but there are also some unexpected developments along the way. This is the set-up for Second Act, the latest movie from comedy director Peter Segal, who is best known for films like Tommy Boy, 50 First Dates and Get Smart. There are a lot of ridiculous hijinks that ensue as Maya struggles to keep up the ruse of being an accomplished career woman, but the screenplay by Justin Zackham and Elaine Goldsmith-Thomas also makes a pretty major reveal about halfway through that takes the story in a more heartfelt and melodramatic direction. It’s admittedly far-fetched, but this is not to say that the twist doesn’t work because it actually sort of does, as contrived as it may be. The film also takes on some added layers of interest in the wake of the college admission’s scandal, with rich celebrities getting caught bribing universities to get degrees for their underqualified children. The story works to challenge the idea that you need a degree or piece of paper in order to be qualified for a top job, and on a somewhat deeper level, Second Act also explores how expensive degrees are used as largely arbitrary barriers to keep the underprivileged classes out of higher paid positions. While Second Act is by no means a great film, and it becomes predictable once it reveals the only real surprise up its sleeve – which some audiences might also see coming from the get-go – the film is also better and more enjoyable than I expected it to be. Lopez does likeable work in the lead, doing a decent job of handling both the comedic and dramatic moments, and she is surrounded by a fine supporting cast. If you’re looking for something lightweight with a positive female empowerment message, then Second Act works as a pleasant and thoroughly watchable diversion. The Blu-ray also includes the three short featurettes Connections, Empowerment and Friendship, which are all just under a minute long and vaguely explore the film’s different themes. Second Act is an Elevation Pictures release. It’s 103 minutes and rated PG.